This is a board game for students. 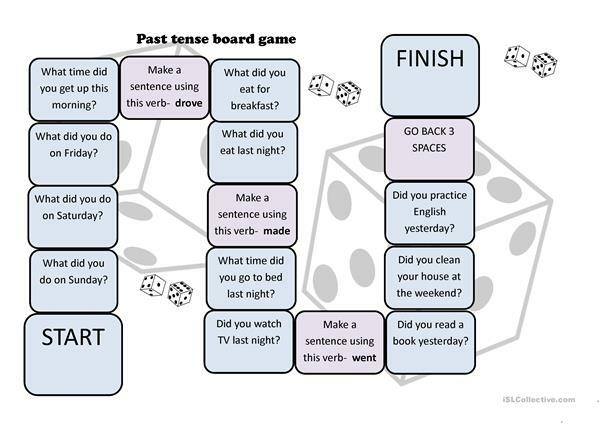 They have to answer the questions on the squares in the past tense. 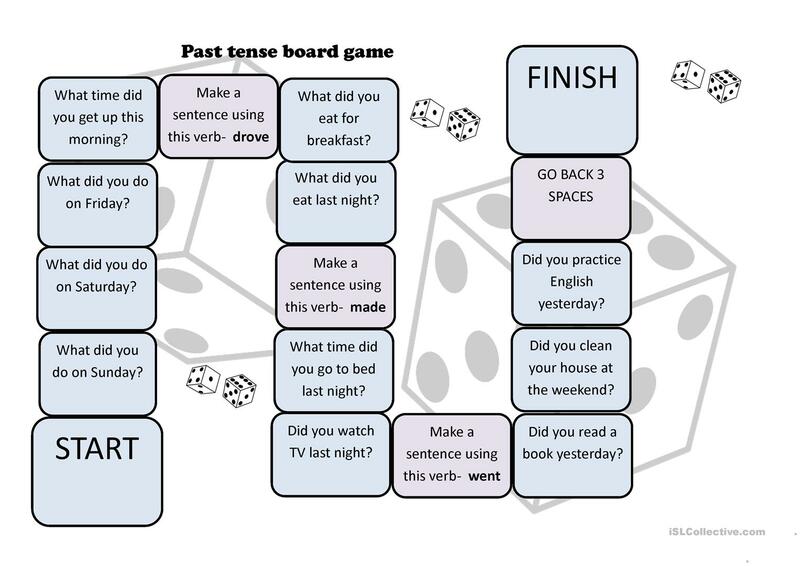 The students will need to know how to respond with a positive and negative sentence for some of the questions and will need to know a few past verbs (regular and irregular). The present downloadable worksheet was created for high school students and adults at Beginner (pre-A1) and Elementary (A1) level. It is aimed at revising Questions in English, and is a valuable material for developing your learners' Speaking and Reading skills.